The importance of Monet’s Berm will only make sense once one went through the entire story of Elio and Oliver in André Aciman’s novel. I was, initially, just looking for that postcard from the Monet’s Berm, the one thing Oliver has taken with him when he left B for New York at the end of that summer. The postcard that decades later was till hanging on the wall of his office when Elio visited him. It was not too difficult to find “The View of Bordighera”. And it was not too difficult then to find the berm itself on the top of the hill. 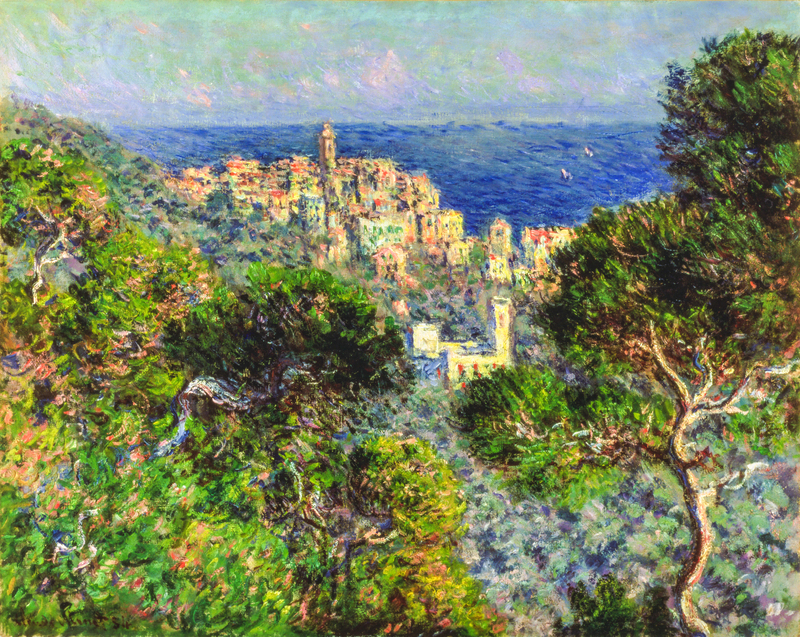 To be precise, the original location where Monet liked to go out to work was the grandiose mansion, Villa Mostaccini, and more precisely, its tower from which the mansion is named Torre Dei Mostaccini. The mansion is a private property and not accessible for visitors. “Elio: This is my spot. All mine. I come here to read. I can’t tell you the number of books I’ve read here. Oliver: Do you like being alone? Elio: No. No one likes being alone. But I’ve learned how to live with it. Oliver: Are you always so very wise? Oliver: But you’re doing it now – in a way.